Based on the science of behavior change, Foodstand provides education, daily support and social accountability to help individuals make small daily changes that translate to big health improvements—no fad diets or calorie counting required. Instead, these challenges are built around community reinforcement, uplifting “check-ins” and accountability. How it works: Foodstand serves as an online (via the app) and offline (via events) venue where individuals can share, teach and learn from each other about healthy eating and habits. The free Foodstand app allows you to join one of 20 guided Challenges that target a specific, actionable healthy habit (drinking less soda, avoiding added sugar, eating five servings of fruits and veggies per day, etc.) and helps you build one of four simple rules for good eating into your daily life—eat less processed food, eat more plants, eat fewer animal products and eat more mindfully. Each Challenge lasts a total of 30 days, and is divided into five levels, encouraging small steps and wins along the way. Once you choose a Challenge, you read the guidebook, which includes “what’s in & what’s out,” a shopping list and Foodstand’s favorite recipes to help you complete the challenge. Click here for a sample guidebook on avoiding fast food. To participate in a Challenge, you check in throughout the day simply by drawing a check mark in the app if you are successful, or using a Free Pass if you slip up. Based on the understanding that people are twice as successful building new habits when they have the support of a friend of family member, the app also allows you to add up to 5 accountability buddies at no charge. Foodstand’s Challenges can also be brought to an office, school, or community group setting, via the Foodstand for Teams platform — an enhanced paid program that includes unlimited buddies, daily one-on-one support, video workshops, custom weekly emails, and impact reporting to track how well teams are doing. A minimum of 10 participants is required per team. Latest project/campaigns: One of Foodstand’s challenges is No Food Waste. In 2016, Foodstand partnered with Sustainable America to initiate the #NoFoodWaste challenge, a campaign that educated more than one million people on ways to reduce food waste. 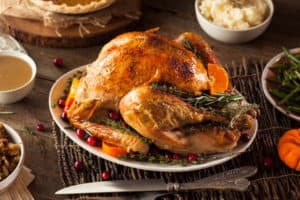 The United States spends more than $218 billion each year producing food that isn’t consumed, and while food waste occurs all along the supply chain, household food waste accounts for 40 percent—the largest slice of the food waste pie. Foodstand is currently partnering with schools to help students and staff cut down on food waste. Interesting fact about how it is working to positively affect the food system: There are countless apps for logging every morsel you eat and tracking calories, but very few focus on what really counts—good food choices. And even fewer provide a fun experience on the journey to creating your healthiest self. 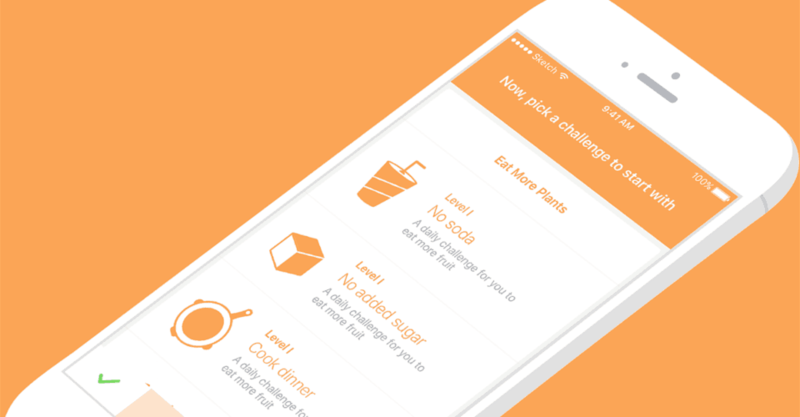 The Foodstand app tracks healthy eating habits and rewards you for making good choices. By celebrating small daily wins and focusing on progress over perfection, the app helps build sustainable, lifelong habits. Further, contrary to the confusion people often experience when reading about any one of the many fad diets that are out there, healthy eating is quite simple and consistent. Foodstand’s Good Eating Challenges are based on these consistent guidelines from leading experts in the field to help clear the confusion and making eating healthy easy.